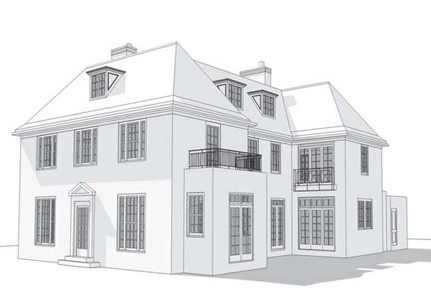 A major re-development of en existing property in a Conservation Area to form a new 3-storey home. Working closely with our client, Lawrence:King have designed the interior as a new family-orientated living space, with open connections between all living areas, whilst allowing the flexibility of privacy when required. Minor improvements to the exterior including new dormer windows have been carefully negotiated with the authorities to meet their strict conservation requirements. The interior is finished with a carefully chosen palette of contemporary finishes and textures which embrace the client's lifestyle and respond to the needs of a family. Environmental systems are incorporated to harvest rainwater for re-use and a geothermal heat recovery system supplements the heating and cooling requirements.